India is a beautiful country of diversity and there are many festivals across religions that we regularly celebrate. Diwali and Dussehra/ Durga Puja are two of the most colorful ones and while we clothe ourselves and buy expensive gifts, homes often don’t get the attention they deserve except for the mandatory cleaning. Durga Puja or Dussehra is one big festival but called by many names. This vibrant colorful festival celebrates the victory of Goddess Durga over Mahishasura, the evil demon. This 10-day celebration marks the victory of good over evil. The main celebration of Vijayadashami is preceded by 9 nights (Navrathri) of fasting. Homes during this period are cleaned, decorated and beautified to welcome the goddess after the fasting period. If coming up with great ideas to decorate your home during this time is proving difficult, here are 5 simple and easy Durga Puja decor ideas that you can incorporate. 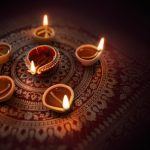 These can be replicated during the coming Diwali preparations as well. Festivals are all about welcoming the Gods, and Durga Puja isn’t any different. 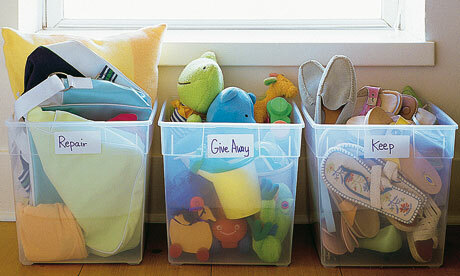 Before inviting them however, what is important is to rid the house of any clutter and dirt. Clean your house or throw away anything that hasn’t been used in a while. A clean, clutter-free home exudes positive energy and attracts the blessing of the goddess. This is also a great way to practice mindfulness for the entire family. 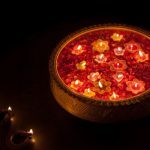 Diyas or lamps are inviting and symbolize welcoming of the goddess. 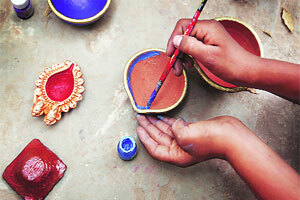 Placing diyas or lamps of clay in different shapes, sizes and designs brightens up the home. They are also eco-friendly and very affordable. 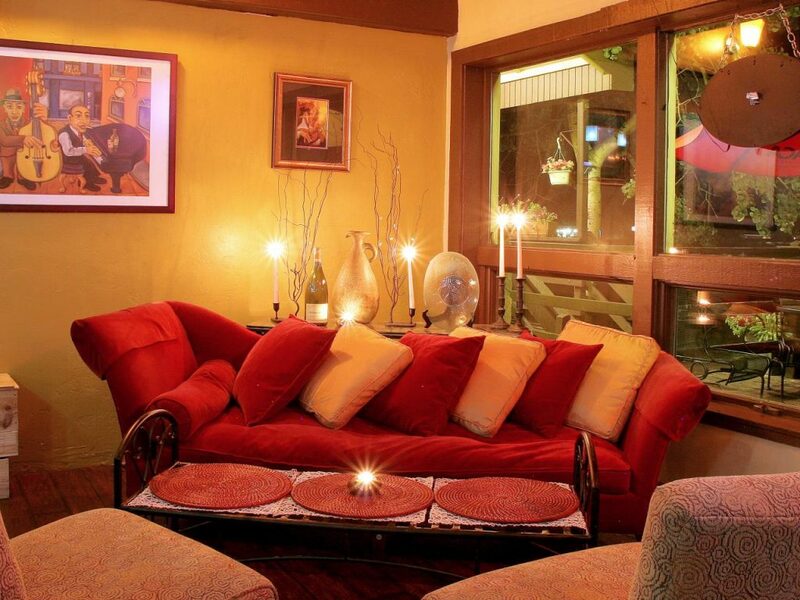 Candles and LED lights look beautiful, envelop the home in a warm glow and enhance the festivity and fun. Scented candles can either be placed in a large urli in the hallway or living room, or lit and placed in different parts of the home. LED lights look great at strategic locations such as house entrance and specific corners. They look very attractive and inviting. Although it is often presumed that bright, gaudy look of curtains, tablecloths and cushion covers are what add sparkle to the home; textured, organic fabric such as khadi, linen and cotton can never be undermined. Besides being good for health and the home, these furnishings encourage sustainability and lend authenticity to the space. 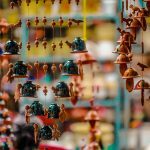 Lamps, buntings and other decoration made of plastic is bad for the environment as well as adds to waste. 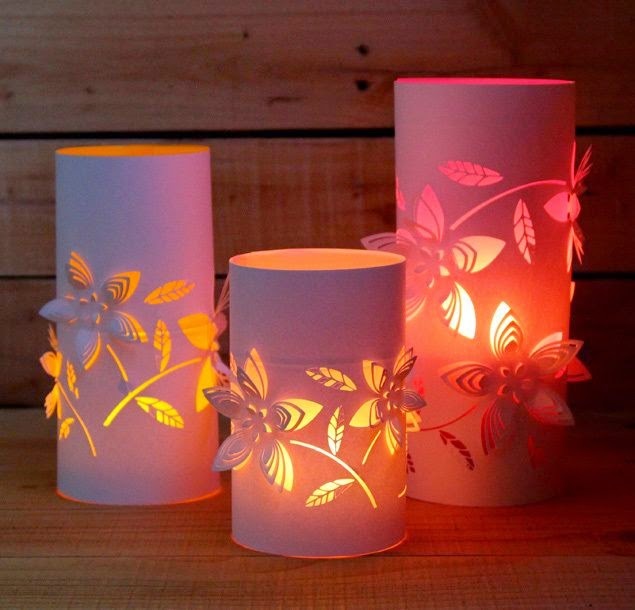 These when made of paper look just as colorful and festive while being affordable and not a burden on the environment. Festival decor isn’t very hard to put together. 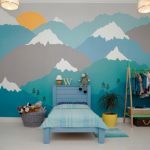 Rather than grabbing together a bunch of things without thought, spending a little time on putting together ideas together will ensure you do the best for your home, at reasonable costs and beautifully. 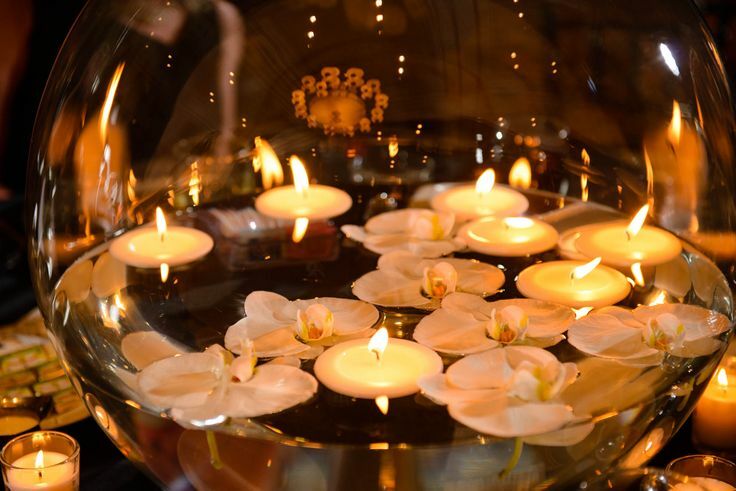 This Diwali, add Some Extra Sparkle to Your Home! Warm Ideas for Those Cold Wintry Days!